FOREIGN DIRECT INVESTMENT (FDI) inflows to the Philippines grew faster than the Southeast Asian average last semester, though the country’s volume paled in comparison with those of some of its regional peers. The Philippine Navy will send a military transport ship to participate in the upcoming ASEAN-China maritime military exercises, a navy spokesman said on Tuesday. Expanding and diversifying Canada’s trade with emerging markets such as those in the ASEAN region through trade agreements and increased market access is a priority for the Government of Canada. Trade and political tensions are quickening China’s integration with ASEAN’s economy. SECURITIES professionals welcomed the freer entry of investment professionals from major ASEAN markets, calling a recently-agreed arrangement a step forward in developing investor expertise. She said a balanced approach was needed that take into consideration the interests of the public, the environment and the industry players, while preventing Malaysia as well as ASEAN nations from being turned into a dumping ground for advanced countries’s plastic waste. THE PHILIPPINES placed fifth among the nine economies of the Association of Southeast Asian Nations (ASEAN) covered by the Global Competitiveness Report 2018-2019, which measures a country’s standing using a set of criteria that determine level of productivity, and 56th globally among 140 economies on the list. The Indonesian government has voiced a call to set up a standard for halal products in Southeast Asian countries during a meeting of the ASEAN Ministers of Agriculture and Forestry (AMAF). Southeast Asia will likely remain a net importer of steel even as demand grows at one of the fastest rates globally because environmental pressures are making it difficult to add new capacity, delegates at an industry event said Tuesday. Amid South Korea’s increasing pivot toward the Association of Southeast Asian Nations, foreign diplomats from the region expressed confidence in deeper and diversified bilateral economic ties at a business forum organized by The Korea Herald on Tuesday. 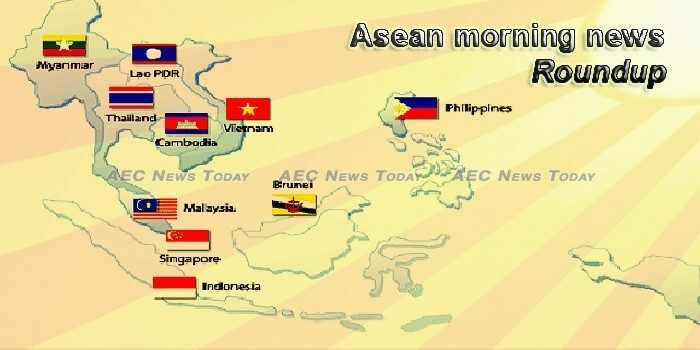 The ASEAN Secretariat gathered dozens of organizations associated with the regional bloc, ranging from youth organizations, professionals, government and private institutions, as well as veterans’ communities, in a bid to build a sense of unity in the region. The Asean Capital Markets Forum (ACMF) has launched two key initiatives to drive a more connected and sustainable Asean capital markets. The infamous ‘golden triangle’, once the capital of Southeast Asia’s illegal opium trade, is in the middle of a transition. There is a tremendous amount of excitement in Southeast Asia about the growth of the digital economy, considering the development of digital lifestyles, cashless societies, app-based businesses, smart nations and virtual services. The South Korean Government under President Moon Jae-in`s administration is trying to strengthen South Korea`s diplomatic relations with Indonesia and other ASEAN member countries, said Choe Won-gi, Head of the Korean National Diplomatic Academy. The International Labour Organization (ILO) predicts that half of salaried workers – approximately 137 million – in Cambodia, Indonesia, Vietnam, the Philippines and Thailand are at risk of their jobs being substituted due to breakthroughs in technology. Garment and footwear industry workers continue to struggle following the Ministry of Labour and Vocational Training’s October 5 announcement of a $182 minimum wage for the industry next year. According to latest data from the National Bank of Cambodia (NBC), the country’s Consumer Price Index (CPI) stood at 2.34 in June last year and rose to 2.98 in June this year. The chairmen of the international chambers of commerce, including the European Chamber of Commerce in Cambodia, the French Cambodian Chamber of Commerce and Industry (CCIFC), the German Companies Group in Cambodia (ADW ), North European Chamber of Commerce in Cambodia (NordCham), and Italian Business Association in Cambodia addressed a special letter to Cecilia Malmstrom, Commissioner for European Trade Commission, in the protest against the withdrawal of Everything But Arms (EBA) schemes from Cambodia. Indonesia’s foreign debt – which includes debts from central banks, governments and the private sector – stood at US$360.7 billion in August, growing by 5.14 percent year-on-year (yoy), driven by growth in private sector debt amid slowdowns in government and central bank debt. The Indonesian parliament’s budgetary committee on Tuesday approved the assumptions on which the government based its 2019 budget proposal, including a GDP growth target of 5.3 percent. Nearly one year after US President Donald Trump confirmed the US would recognize Jerusalem as the capital of Israel and move its embassy from Tel Aviv to Jerusalem, Australian Prime Minister Scott Morrison followed suit by suggesting that Australia plans to make the same risky move. The initiative, for instance, has greatly improved the economic and social conditions within Laos. A number of persistent problems have worsened poverty and hunger in countries across the globe including Laos, a minister told an event yesterday that marked World Food Day, and International Day and National Week for Poverty Eradication. MALAYSIA is capable of building its own fighter jets by 2030, Defence Minister Mohamad Sabu said, but the problem is money. Malaysia’s economy is expected to grow at a slower pace of 4.7% in 2018 from 5.9% last year, according to Allianz Group. For the fourth year in a row Hilton Kuala Lumpur has taken out the World Travel Awards (WTA) title of ‘Malaysia’s Leading Business Hotel’ and ‘Malaysia’s Leading Business Hotel Suite’. Facebook has removed nearly two dozen more accounts and pages linked to Myanmar’s military, which the U.N. is investigating for possible charges of genocide during its campaign of violence against the Rohingya Muslim minority. The 10 ethnic armed groups that have signed a nationwide peace accord with the Myanmar government agreed in principle on Tuesday to a key military demand that they fold their militias into a single national army and to extend dialogue to ethnic armies outside the cease-fire agreement, participants said. The withdrawal of EU trade preferences would impact the lives of ordinary people, putting more than 400,000 jobs at risk in the fast-growing garment sector, which is the country’s largest foreign income earner, lawmakers, labor policy makers and rights groups warn. The Philippine government has shaved its economic growth target for this year and raised inflation forecasts for 2018 and 2019, reflecting caution as soaring consumer prices curb expansion in one of Asia’s fastest growing economies. The government will rework the proposed 2019 budget in the wake of possible foregone revenue arising from the suspension of additional excise tax on fuel next year. MANILA has jumped 12 notches in the Global Competitiveness Index 4.0 to 56th among 140 economies on the backbone of a strong labor market and macroeconomic stability. The Singapore Press Holdings (SPH) has released their annual report for the financial year (FY) ending August 31, 2018, which highlighted the group’s sliding revenue for their print media business. Singapore’s state investment firm, Temasek Holdings, has held talks with Chinese authorities about acquiring a stake in Anbang Insurance Group Co. as well as some of its assets, according to people with knowledge of the matter. Which University Program in Singapore Offers the Highest Return on Investment? Attending university is a crucial step for advancing your career and salary potential. With that said, the cost of university education continues to soar and not all programs are created equal in terms of helping students find a job. Siam Commercial Bank’s Economic Intelligence Centre (EIC) has revised up the growth rate of Thailand’s gross domestic products (GDP) this year from 4.3 per cent to 4.5 per cent, thanks to strong performance in the export and tourism sectors. The Japan External Trade Organization (Jetro) aims to persuade Japanese seafood investors to set up a seafood processing hub in Thailand in a bid to expand into new markets in Southeast Asia and the Middle East. A BRITISH teen who claimed to have been drugged and raped on Koh Tao in June has failed to confirm the site of the attack, identity of the attacker or how the attack happened while being questioned in the UK, Thai police officers said. An annual HSBC survey says expats in Vietnam earn an average of $90,408 a year, ranking 16th in the world. Vietnam’s GDP per capita is set to increase this year, but its 2020 target of $3,200-3,500 looks distant. Minister of Planning and Investment Nguyen Chi Dung said at a National Assembly meeting Monday that if Vietnam’s GDP increases by 6.7 percent this year, per capita GDP will reach $2,540, up $155, or 6.1 percent year-on-year, and 1.21 times that of 2015. Vietnam police discovered a massive haul of suspected methamphetamine worth an estimated US$3 million after pulling over a speeding truck, authorities said on Tuesday (Oct 16), the latest major bust in a country where synthetic drug use is on the rise.